Video games have always been a tool to allow us to become something beyond the realm of possibility. We can become a gallant knight, part of a seedy shadow organization, or a superhero. Virtual reality took that one step further by allowing us to step into those shoes, to truly become stranded on an alien planet or caught in the middle of a huge shootout. Who, then, wouldn?t want to become a battle mage, shooting an array of spells from their hands as they defend the lands from an invasion of evil forces" It?s that very fantasy that The Wizards seeks to fulfill. 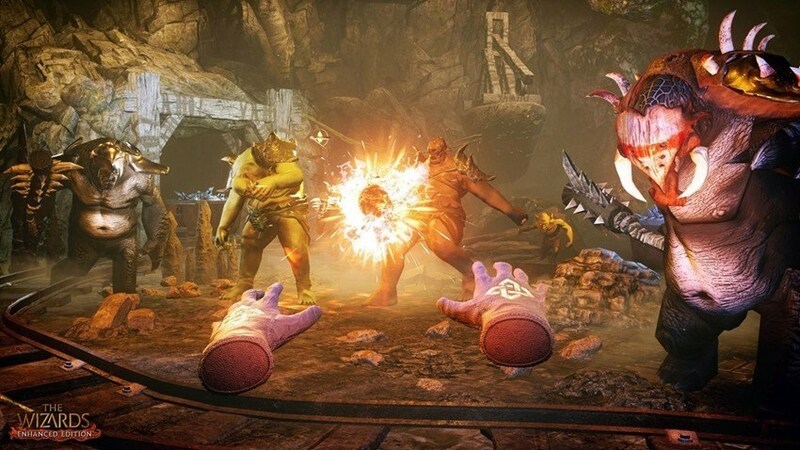 The PSVR version of the game, known as The Wizards Enhanced Edition, comes with added features different from the PC VR release early last year (PC users are getting this new content in an update). Notably this includes an additional level, cutscenes that help deepen the lore of the world, checkpoints throughout the levels, aim assist using visual tracking, and the ability to customize the color of your gloves. It?s appreciated that a studio would be so dedicated to not only building, but also expanding and improving their experience as they bring it to additional platforms.